There are lot more funds in the large-cap category which makes it more challenging to choose the best large-cap fund for investing in 2018. Having a large-cap fund in a portfolio is a smart choice because it has lot more stability than a midcap or small cap at the time of correction and provides better risk management. It is expected that 2018 won’t be as smooth as 2017 and there is an anticipation of more correction in 2018 than they were in 2017. So the large-cap fund is expected to do better in 2018 than in 2017. The process we will use will similar to 2017 for a large-cap fund where we choose the 5-star rated large-cap fund by ValueResearchOnline and based on the underlying benchmark choose the best large-cap funds that are more likely to perform well in 2018. One can also use CRISIL for the top funds but CRISIL doesn’t cover all the fund houses. 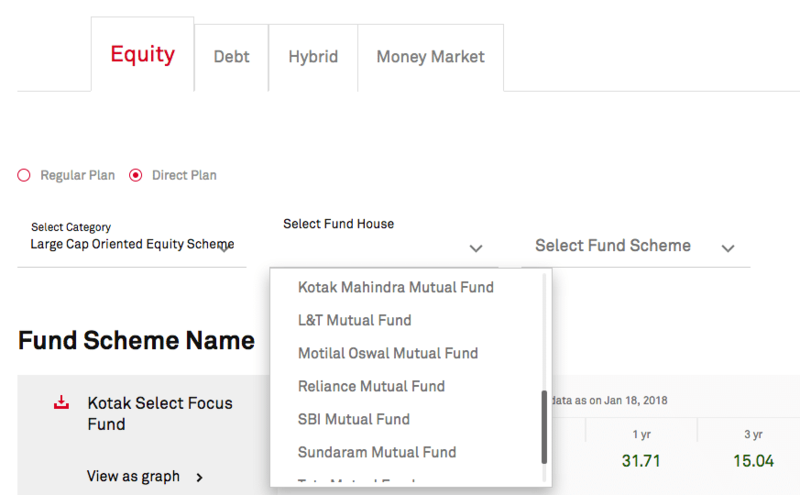 As an example, I did not find Mirae Asset Fund Houses under the coverage of CRISIL and is one of the better performing large-cap funds. We have a choice of more funds and so we only take the 5star rated fund by ValueResearchOnline that has given a return of 30% in the last 1 year because the S&P BSE 200 has given a return of 30% in the last 1 year. Here is the underlying benchmark of these 8 funds. There are some interesting finding for few of the above large-cap funds that I like to highlight first. Motilal Oswal MOSt Focused 25 Fund – It is benchmarked against Nifty 50 which means the fund should be investing in the 25 stocks in the Nifty 50 index. The portfolio of the fund has many stocks that aren’t part of Nifty 50 benchmark. Stocks like Britannia Industries, Havells India to name the few. These stocks are no doubt non-index large cap but aren’t part of the Nifty 50 index yet. So ideally the fund doesn’t cater to its benchmark and so the performance of the fund beating the index isn’t a valid comparison. JM Core 11 Fund – It is a very focus fund that invests in 11 companies of the Sensex. I personally prefer a very focus investment approach for stocks but when selecting a mutual fund, I like it to be a little more diversified than 11 stocks. If someone is looking for a focused large-cap portfolio, this is an ideal fund. Kotak Select Focus Fund has scored well on all front aka 3-year performance, 5-year performance and on the expense ratio. 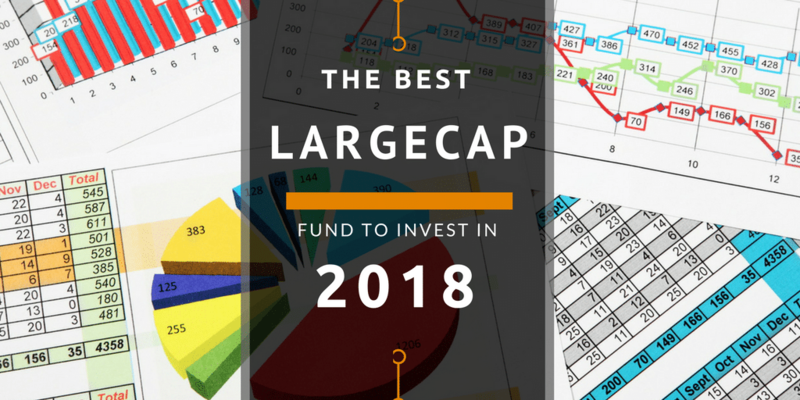 Without a doubt, it is the best large-cap fund to invest in 2018. 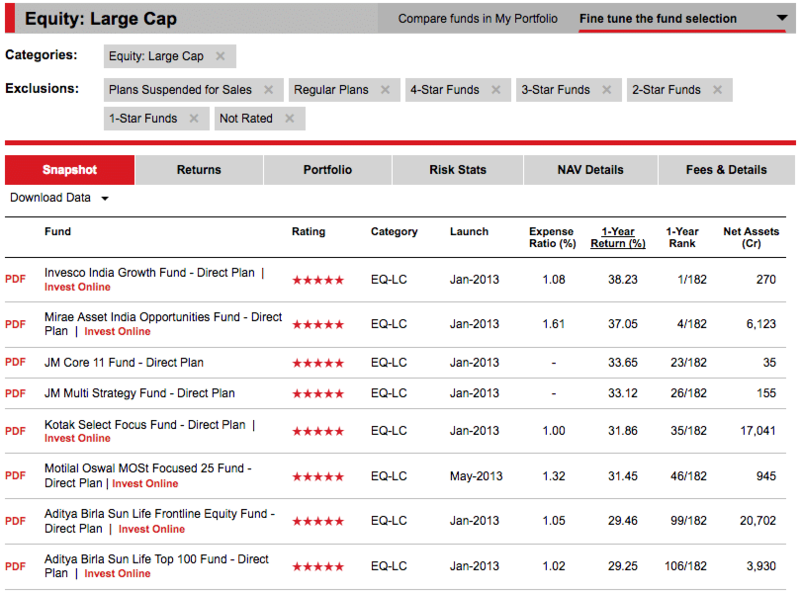 CRISIL also list it as the best large-cap fund. If we have to select more than one best large-cap fund, it has to be Invesco India Growth Fund. A consistent performer for 3-year and 5-year time frame and has scored well on the expense ratio as well. The performance of Mirae Asset India Opportunities Fund is top class but it has a very high expense ratio compared to its peer which makes it the third choice among the best large-cap funds of 2018. In 2017 it had a higher expense ratio. How The Best Large Cap Funds of 2017 Performed? Mirae Asset India Opportunities Fund – The performance of the fund has been awesome in 2017 where it has given a staggering return of 37% beating it’s benchmark which had a return of 31%. DSP BlackRock Focus 25 Fund – The fund has underperformed the benchmark but still has given a return of 26% compared to the benchmark return of 31%. Funds managed to perform well though beating the index by all the funds would have been awesome. Do not switch funds every year and pay the entry or exit load but if you are planning to start a new SIP, it can be from the latest list of 2018 or if you have not selected a very good fund earlier, stop the SIP in the old funds and create a new SIP in the new list of best funds of 2018. Again, as always this isn’t an endorsement to invest in the above funds but the emphasis is on the process to select the best mutual funds as and when you want to invest in 2018.